Two separate crashes involving large trucks hitting the center barrier snarled traffic early Monday morning on Interstate 5 in Tacoma, according to the Washington State Patrol. The first incident occurred at about 2:45 a.m. on southbound I-5 near State Route 16. A box truck hit the center concrete barrier, pushing the barrier into the northbound lanes and causing other northbound vehicles to hit the barrier. A total of four semi trucks and three other vehicles were involved. Only minor injuries were reported in the crash. In a separate incident 45 minutes later, a northbound semi truck hit the barrier at South 38th Street. The driver of the semi tractor, which was not carrying a trailer, failed to adjust to the traffic from the first crash and ended up losing control. 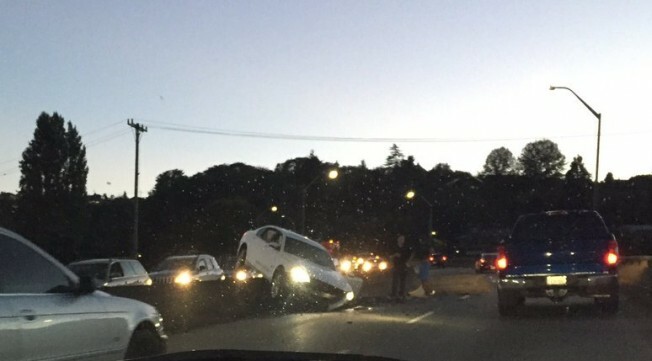 Nobody was hurt in the second crash. Further information is not yet known and the incidents remain under investigation. The idea behind a median barrier is well-intentioned. These barriers, whether they’re concrete, guardrails or a mere cable, are designed to separate lanes of traffic going in opposite directions, usually on highways. Constructed to prevent head-on collisions, these median or center barriers often fail in that regard, or they may be involved in a serious collision when a vehicle traveling on either side crashes into them. Both drivers and passengers of vehicles that hit another car or barrier may suffer serious and life-changing injuries that require long-term treatment. 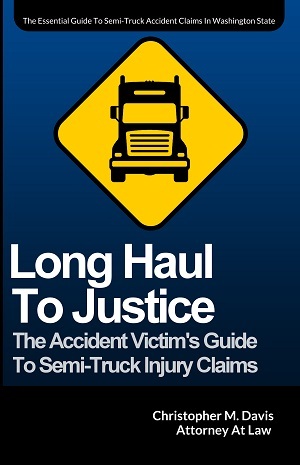 Additionally, when a large truck or commercial vehicle is involved in the collision, damages can be even higher. Rigid barrier: Usually made of concrete, these barriers are used in high traffic and high speed areas, such as highways where trucks go. These barriers can withstand high-impact crashes, as they are fairly immovable and absorb little energy. But when these barriers are pushed into opposite lanes of traffic by a large truck, the consequences can be serious. Semi-rigid barrier: These are typically guardrails or metal railings reinforced by posts and blocks. At high speeds, vehicles can break through and cause head-on collisions. Cable barrier: This is the weakest of the barriers. Usually just steel cables connected by posts, cable barriers are not designed to withstand high speed crashes. Median barrier crashes may even result in a tragic loss of life. In these situations, a family member may pursue a wrongful death claim on a victim’s behalf. In Washington state, personal injury cases must be filed within three years from the date of the accident, and family members have three years from the death of a loved one in which to pursue wrongful death damages. If you have been hurt or lost a loved one in a median barrier collision, the Seattle car accident attorneys at Davis Law Group can help you determine and pursue your legal rights. Call (206) 727-4000 or contact us online for a free case evaluation to explore your options. Attorney Chris Davis and his legal team assist victims in Tacoma, Seattle and across Washington state. Don’t hesitate — contact us today.